Another picture from last weekend. I think it evokes an interesting mood, juxtaposed somewhere between stark and comforting. Another shot I like from Stone’s Trace. I really like the interplay between harsh light and subdued shadow. 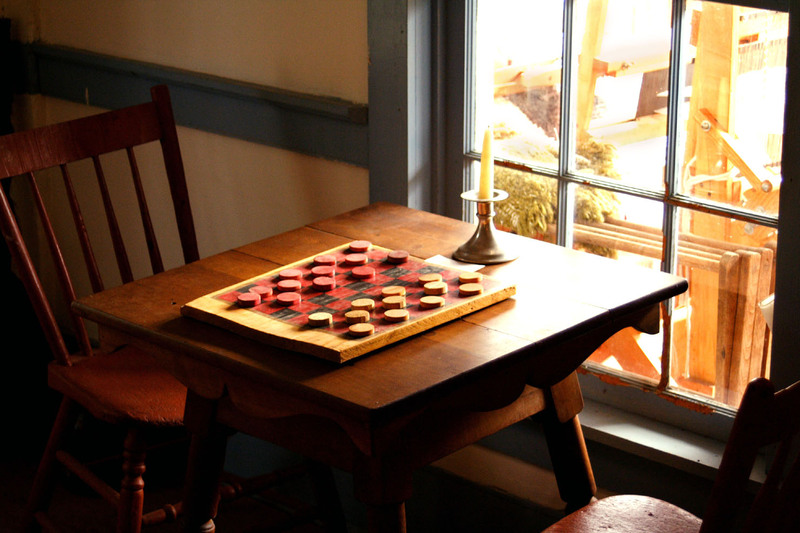 I can almost see a couple of travelers in 1837 getting ready to sit down to a friendly game of checkers. This is a shot I took in the Stone’s Trace Tavern near Ligonier, Indiana last weekend. It’s a restored circa 1830s inn which is situated on a site with many other buildings from that era. Every year they hold a large festival celebrating that time and the way of life practiced by our Hoosier forefathers. We usually attend the festival, and did again this year. 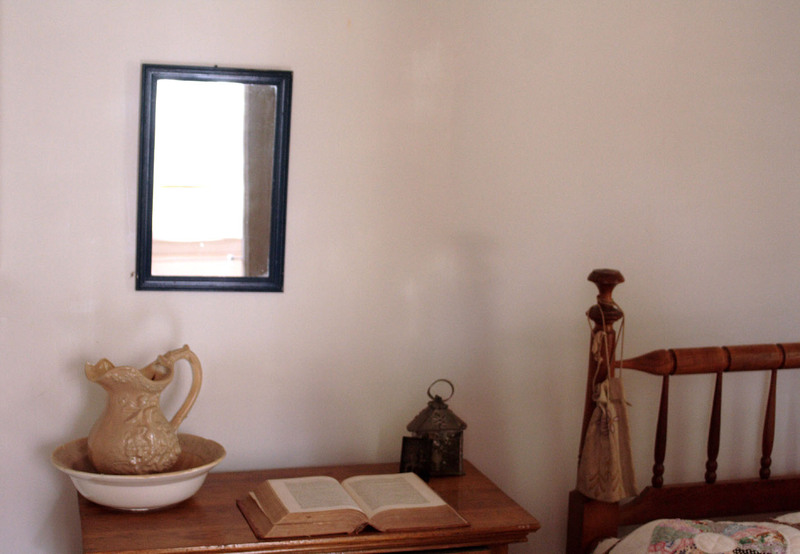 This photo was shot in dim light, capturing the reflection in a vintage mirror hanging on the wall of one of the original inn’s restored rooms. 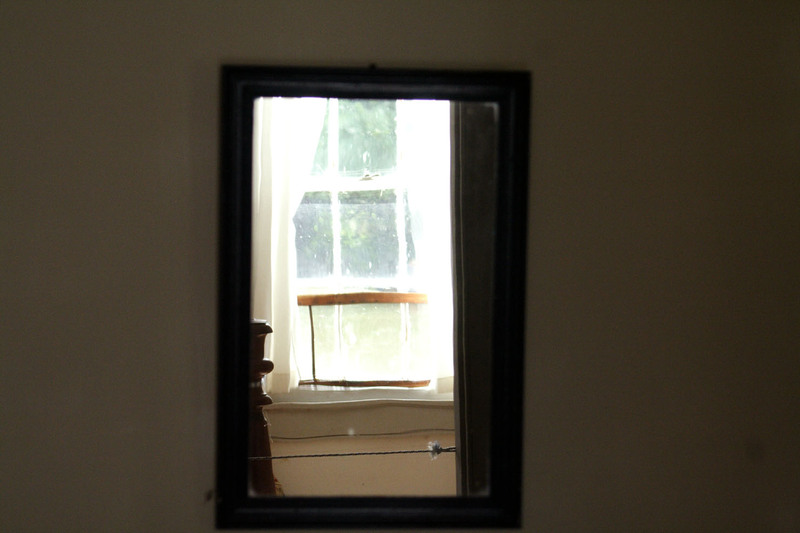 I hope that this photo conveys the mood I felt when I clicked the shutter.